There is a time and a place for pink. Pink, the quintessential girly color speaks to women in a special way. Many of us have worn this color, or been made to wear it, we loved or hated it. I still love and hate it, depending on my mood. Not always is somber, grown-up black or beige the right choice, for me there are days made for pink, and instead of wearing a tulle tutu, these days I reach for perfume to satisfy my color cravings. Notes include almond, pink laurel, wheat, orris, bourbon vanilla and cedarwood. It is now discontinued. Jour de Fête will not challenge you intellectually, it will not overcharge you emotionally, it does not require your attention, it does not develop, it just is. Pink, that is. Jour de Fête is a nice, little pick me up when the world presents only shades of grey, it is a sweet, almondy treat, cotton candy and baby powder, marzipan and flour, iris and vanilla, Jour de Fete is all things fluffy, soft and pink. Escape in a bottle. It dissipates quickly, but that is a good thing, by the time it is gone, I’m ready to go back to black. Drôle de Rose includes notes of rose, aniseed, orange blossom, white iris, violet, almond, honey, rose powder, and leather and was created by Olivia Giacobetti in 1996. Nearer still to Lipstick Rose, Drole de Rose is a cosmetic scent, rose and violet languishing in clouds of face powder, very indistinct, transparent and light – a glamorous woman sitting in front of a mirror, done Giacobetti style. The first few minutes, I do not enjoy it at all – a sour rose dominates on my skin, making me doubt every time why I applied this. A few minutes later, I remember why. The rose is tamed now by violet and powdery iris, becoming more and more a gauzy veil and less of a flower. 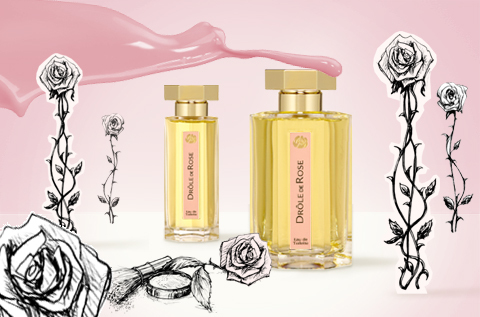 Drôle de Rose is almost a caricature of feminity, too pink, too made-up, too girlish. I don’t wear it, but now an again I spray a bit on my hand and sniff it. My personal tiny boudoir on the back of my hand. 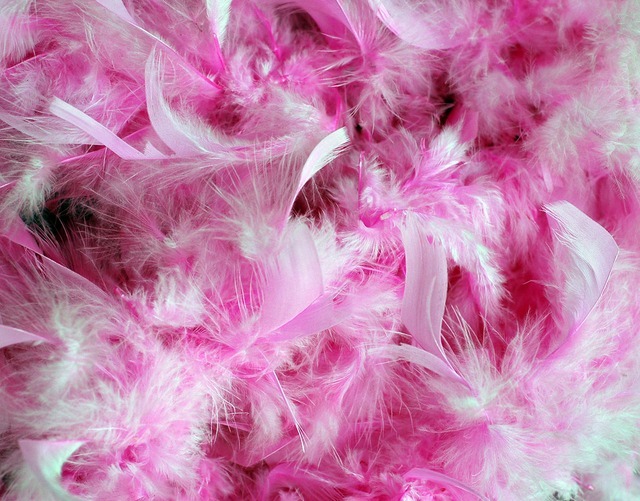 Works just like a pink feather boa. 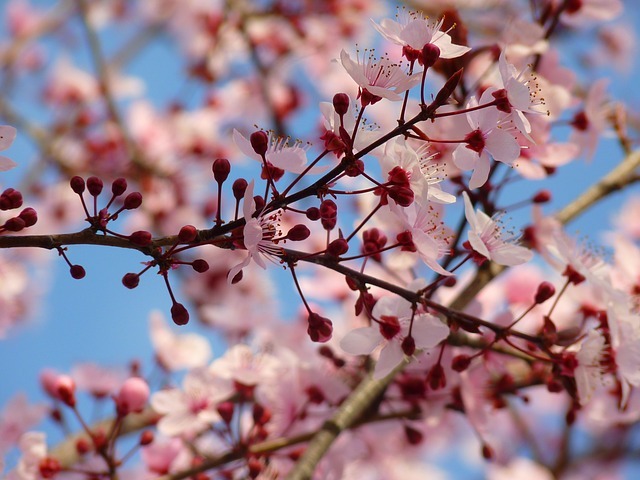 This entry was posted in Floral, Fragrance Reviews, Gourmand, L'Artisan Parfumeur, Powdery, Rose, Vanilla, Violet and tagged Almond, floral, Fragrance, L'Artisan Parfumeur, Perfume, Review, Rose, Vanilla, Violet. Bookmark the permalink. Right! Cereal notes are lovely. Do you know Lann-Ael? I see, the milk is rather pronounced in Lann-Ael. Jour de Fête has been discontinued because really, there was not enough lasting power but, I don’t know how, on my skin, Bois Farine from l’AP smells like Jour de Fête stronger, and with more woods but the almond is here and its powdery facet too!!! Basically I agree, it is lovely, but entirely too shortlived to warrant the expense. I’ve never been a fan of pink, probably because I’ve never been a girly girl. I don’t have any “pink” perfumes either but I’m thinking maybe I should. I’m often stuck for inspiration on the weekend when a fun pink perfume might be just the ticket. As you often say, there is a time for everything. In case anyone is interested, Drole de Rose is currently on sale on the UK L’Artisan website – £25 for 50ml. I’ve also always thought of Eau Premiere as pink, it’s the pink one in my collection (I don’t have many). The other ones I have that I think of as pink is Kelly Caleche (tastefully!) and Gucci II (failed buy, I never wear it). Not a fan of either, I’m afraid, and also have a massive distaste for pink in man-made objects ( oh, for shame: my beloved Tubereuse Criminelle is in fact dyed pink… ) A connection? Possible. I love Lipstick Rose, though. It gets less love than Une Rose ( which I found oppressive in a sudsy, blousy way ) or Portrait Of A Lady ( which I’ve yet to try ), but along with Une Fleur de Cassie it does the vintage-floral style in a fun, modern way. I really ought to own a bottle, but, as with so many fragrances, there are just too many I love more that come first…! I adore Lipstick Rose! It is one if the best rose-violets ever in my opinion, and quite unique. Drole de Rose doesn’t come close! Oh no, your description of Jour de Fete made me want it but it’s been discontinued! I hate it when that happens. L’Artisan have a bit of a habit of discontinuing the good stuff. In other news, it seems to be a bit of a L’Artisan week this week, and I’ve been reading reviews on Safran Troublant (including yours) after Dee mentioned it and now I’m starting think that I should be trying that one too. Safran Troublant in the other hand is gorgeous!!! That is reassuring, I would probably find JdF frustrating. I will definitely be trying Safran Troublant! I look forward to hearing about your opinion of ST. I think my ultimate pink perfume (the bottle was flaming pink, too!) was Kenzo Amour Indian Holi. I enjoyed it enough to go through a small bottle. And I suppose Patou Sira des Indes is pretty pink, too! Definitely in the flirtygirl category! I like it, but consider it more of a “gym scent”- it’s pleasant, pink, and it won’t offend anyone. I doubt I’ll get a new bottle, but the empty bottle is on permanent display. It’s unique! I have a small bottle of Kenzo Amour L’Eau (pink and translucent bottle) for just that purpose.